Welcome to the Flymall Wheels & Wings August 2018 newsletter. This month: Mailboat jumpers??? Glenn Curtiss V-8 motorcycle. UBER versus the FAA. A wrecked plane in a man cave, and more. Coming in September 2018: What happened to Evel Knievel’s motorcycles? Click here to view past newsletters. Click here for our August 2018 newsletter. Achievements & Special Recognition: If you or your student has a first solo or earned a new pilot certificate or rating and you want us to post it here, let us know. Mailboat jumpers on Lake Geneva. Lake Geneva is one of a few places in the states that still delivers mail by boat. They have been doing this for over 100 years. This is surely an achievement and they deserve some special recognition. Here’s some other interesting news that is 100 + years old. 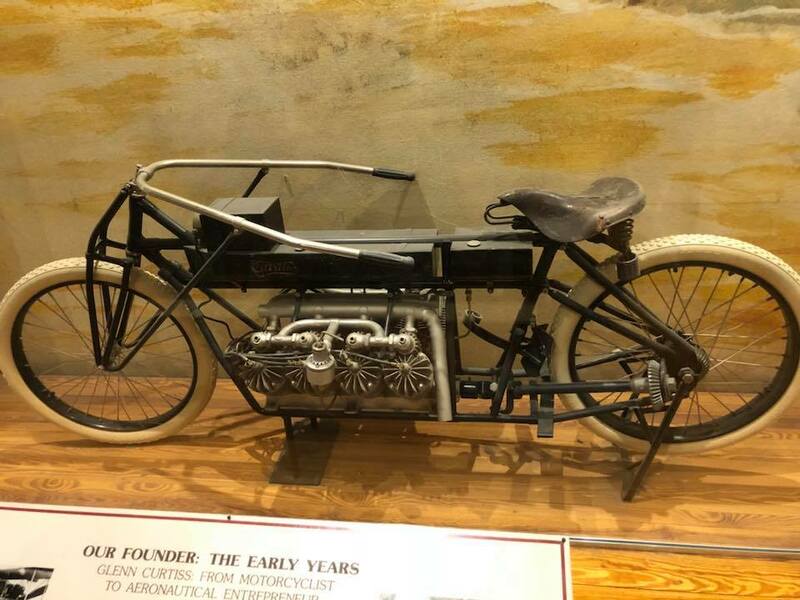 This V-8 powered bike of Glenn Curtiss set an unofficial land speed record of 136.36 miles per hour (219.45 km/h) on January 24, 1907. Considering that the automobile was only invented about 20 years before this, that was fast! Aviation/Aviators in the news: Do any of our readers know Velta Haney Benn? She was a female aviator, a WASP, and well know in the mid-Atlantic area. A very high time pilot, some reports state that she had over 40,000 flight hours. A DPE friend of Harry’s has said that she had over 60,000 hours. Click here for more reading on Velta. Click here for an article (of Harry’s ) on becoming a high time pilot that was published in FAA Aviation News. Pilots, have you ever wondered who Tipton Airport is named after. William Dolley Tipton is the man behind the name. Click here for more reading on William Tipton. UBER announced their intentions of developing an autonomously controlled passenger carrying drone aircraft. This will definitely clash with the FAA. Click here for the full story on Aero-News.net. If you want to get the latest and daily aviation news, Harry host the Aero-News.net new ticker on the Flymall home page. Harry’s student Francesca was home from college for the summer and Harry and her have been doing some flying together. Francesca is on her way to becoming a Naval Aviator, a fighter pilot. 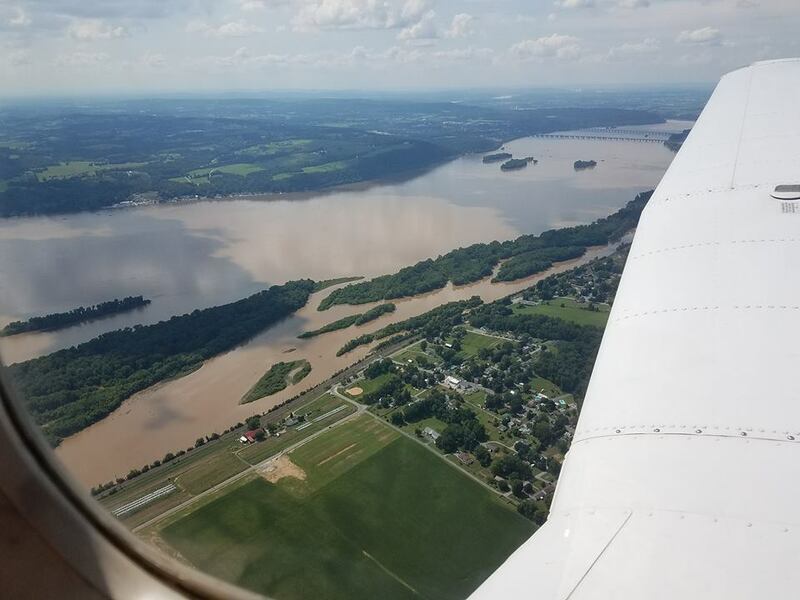 They got to see some of the flooding of the Susquehanna river, a hot air balloon launching, and much more of the Maryland and PA country side from the air. Click here for more pictures of their adventures together during her summer break 2018. Moving over the Harry’s hometown of Dundalk Maryland. 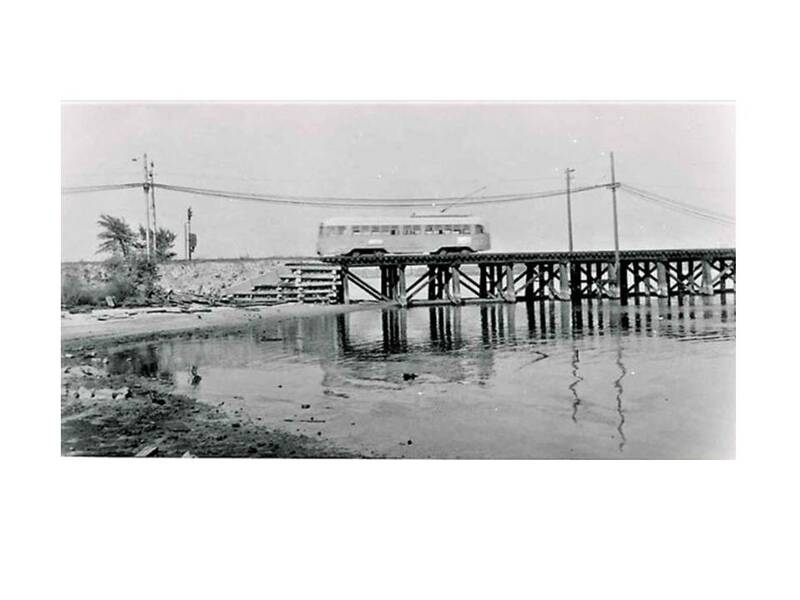 Harry’s hometown of Dundalk Maryland has a rich aviation history. Here are some old pictures found online as well as some old post Harry did on historic Maryland airports. 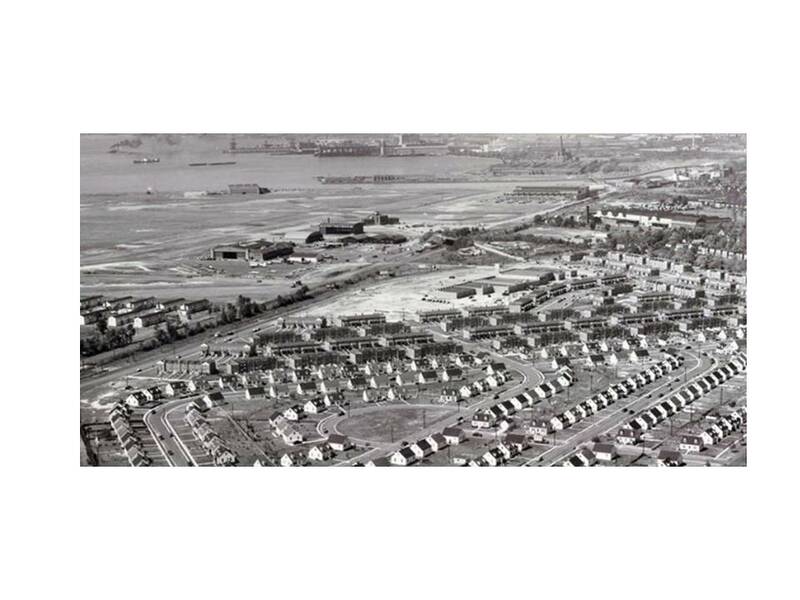 The first picture below is showing the housing adjacent to the old Baltimore Municipal Airport in 1950’s. The airfield is now the Dundalk Marine Terminal. Just across the street from this airport was Logan Field (now a shopping center). The lower picture is the North American Aviation plant in Dundalk, Maryland. 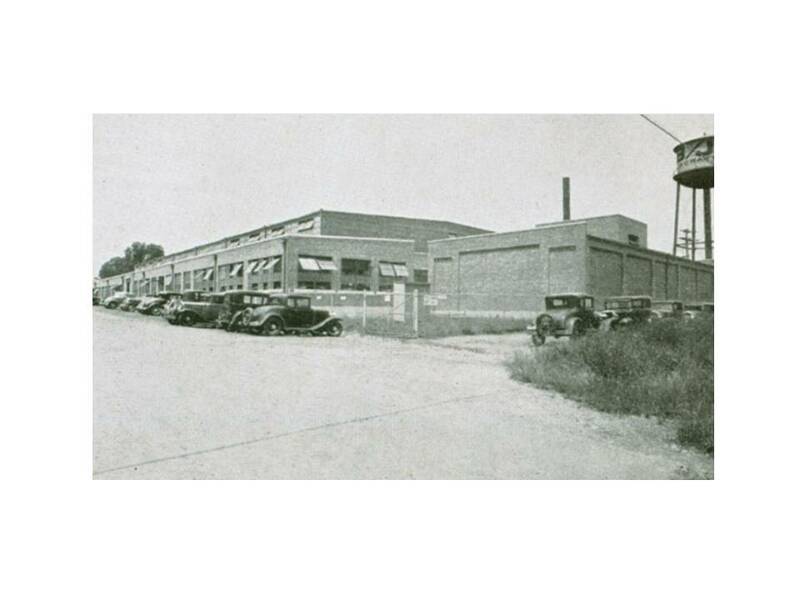 Click here for a post Harry did on the original terminal building under construction at Logan Field in Dundalk Maryland. Click here for more on historic Maryland airports. This link opens a pdf on the Flymall server. 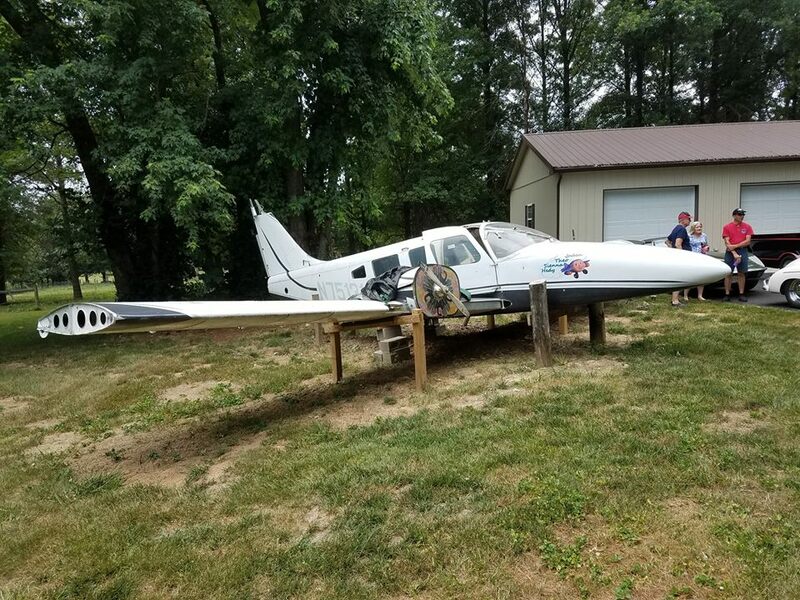 What to do with a wrecked plane? The ultimate man cave decoration. Here is a wrecked plane that Harry gave a friend. He has it mounted in his front yard as a play house for his grandkids. We think a modern day Piper Seneca looks better with radial engines. The picture above shows a radial engine on a modern day Piper Seneca. 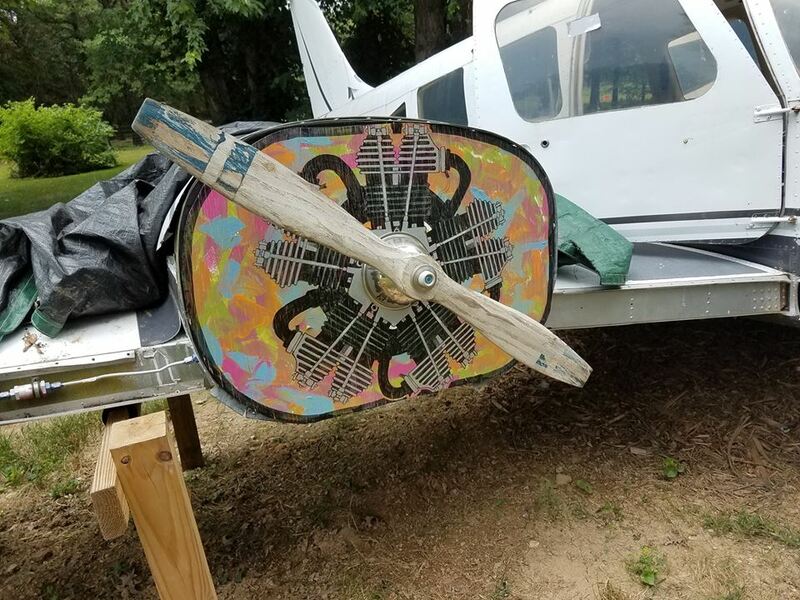 Very well done, however the Seneca did not come with a radial engine. Speaking of radial engines. Folks often confuse a radial and a rotary engine. Click here to see an example of a rotary engine. On a rotary engine, the entire engine rotates with the crankshaft. The Flymall team is always on the lookout for new and interesting aircraft designs and we found this one on Facebook. It looks a lot like the Icon A5. An amphibious aircraft with folding wings. You can set up a hammock on the tail section. The cockpit has a tent that can be setup for camping. You can mount a seat on the nose for fishing. Too bad it cannot be driven on the road. Harry & Pat hosted a small get together for Glacier and Veronika. Glacier was going back to her home country of China. And Veronika was going to visit family in the states. Glacier is a private pilot student at a flight school in Maryland and Veronika is a flight instructor at the same school. Click here for some pictures of the get together. We’re sure by now that we all have heard about the airline employee that steals a turbo-prop passenger airliner. This will surely have the FAA looking at security at airline airports. 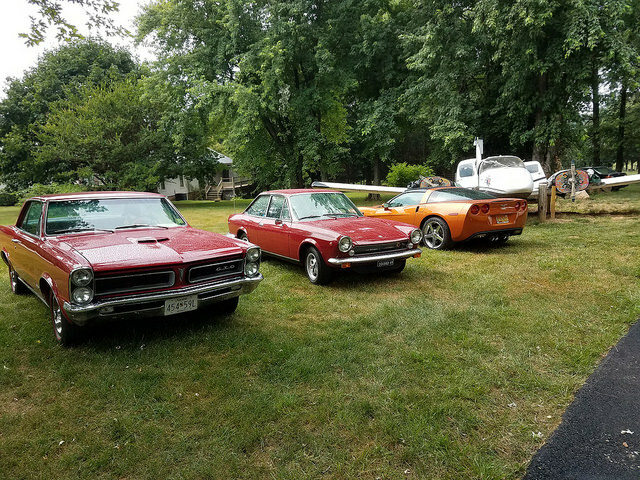 In July Harry & Pat attended a classic car themed cookout at a friend’s house. Click here for more pictures from the automotive themed cookout. How many of our readers know the name Jim Hall or the Hall Chaparral? Jim Hall was revolutionary in race car design. He was considered a renegade aerodynamicist. Many of his innovations were banned from racing. For more reading on Jim Hall’s Chaparral click here. Coming later this year we will have a story on one of 13 mini Chaparral cars that were built. 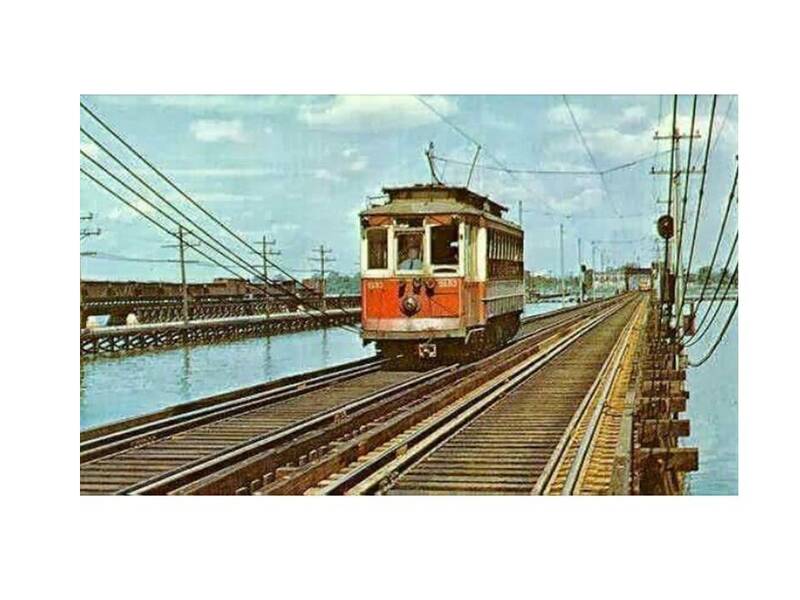 Lower picture: From 1957, a street car on the trestle bridge on the Sparrows Point Line. Click on the picture for a larger image. As a child Harry would walk these bridges and he also fished under them with his grandfather in one of his grandfather’s boats. 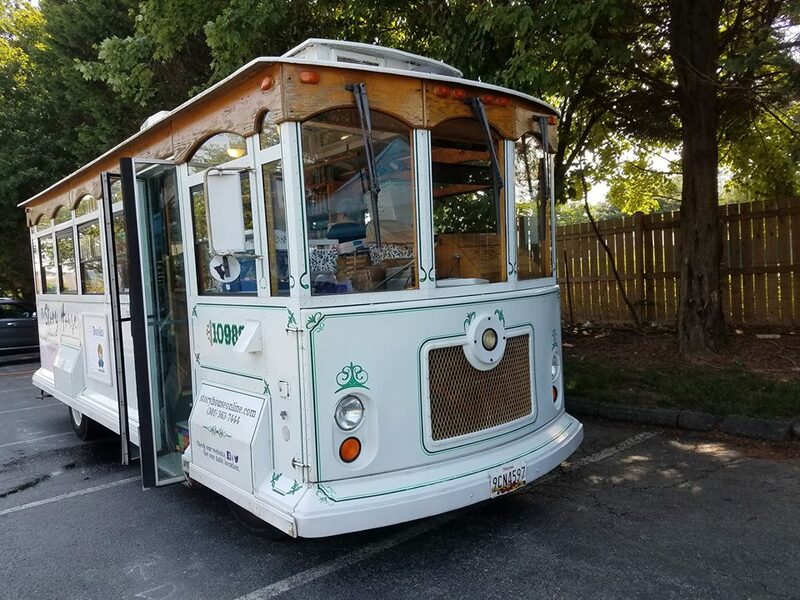 While on the topic of street cars / trolley cars, here is a bookstore on wheels owned by Deborah Bodin Cohen. Click here for more pictures of this very cool mobile bookstore. Click here for her site. Think the Roomba is an invention from the 2000s? Here is a 1959 Robo-Vac. 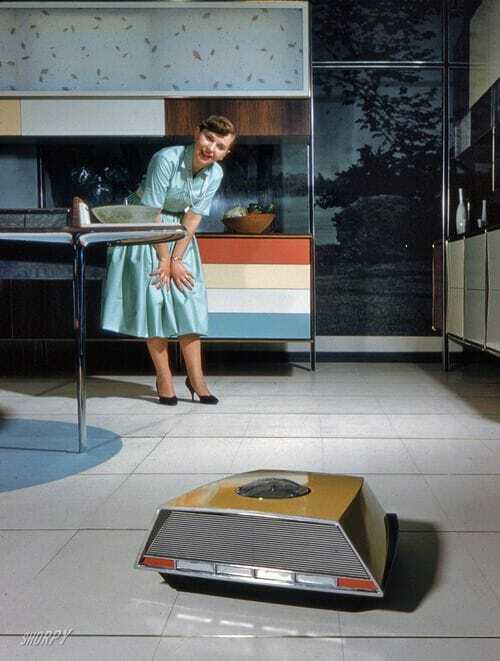 The Roomba is not new, just improved. We had them in 1959. Harry & Pat run/support the Laytonsville Cruise In. And new this year, The Family Room is a huge support of the Friday night cruise in. The Family Room in Laytonsville is in the same shopping center as the Laytonsville Cruise In. Two Saturdays a month they host a farmers market. 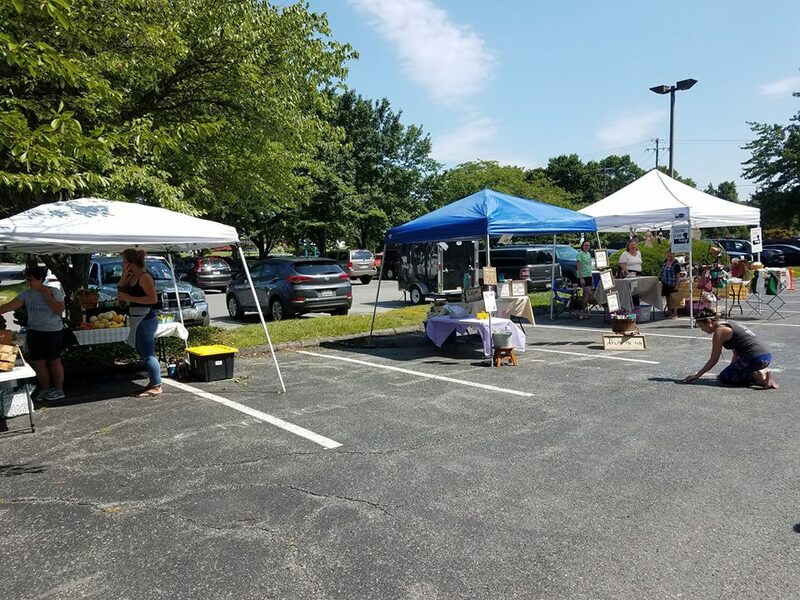 Stop by for some local produce and other local vendors. The Family Room is very good to our Friday night cruise in folks. Support local vendors and shops. Remember Pontiac’s jet-turbine powered Firebird? We have not seen one of these (yet) at the cruise in. Maybe one day! Here is a follow up piece regarding the Batmobile story we did in June 2018. Want your own Batmobile? Its possible! Earlier in August, Harry, Pat, and Jett attended a BBQ at District Harley Davidson. While on the topic of motorcycles, does anyone remember the Honda City, a car that carries a motorcycle inside the trunk? This is a car that you can actually enter into a motorcycle show! The motorcycle is called a Motocompo. They do come up for sale from time to time. We have numerous entries for these in our Market Watch section of the Flymall. Here is a listing for 2 of them for sale. Here is a field find for this month. Two scenic cruisers. Long ago retired. 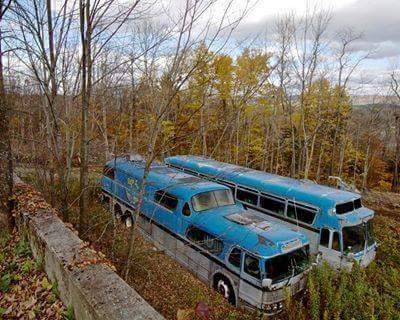 They belonged to Arlo Guthrie, recording artist, he had the hit, City of New Orleans. Click here for a post we found supposedly in Arlo’s own words regarding the buses. A local Laytonsville resident has a vintage Grey Hound bus. It has been converted into a very nice motorhome. Its called the Stray Hound. Click here for his YouTube Channel. Here is a hangar find for our aviator readers. A tropical getaway inside an old airship/blimp hangar. CFI Notes: Pat’s student Uma is in the news once again this month. 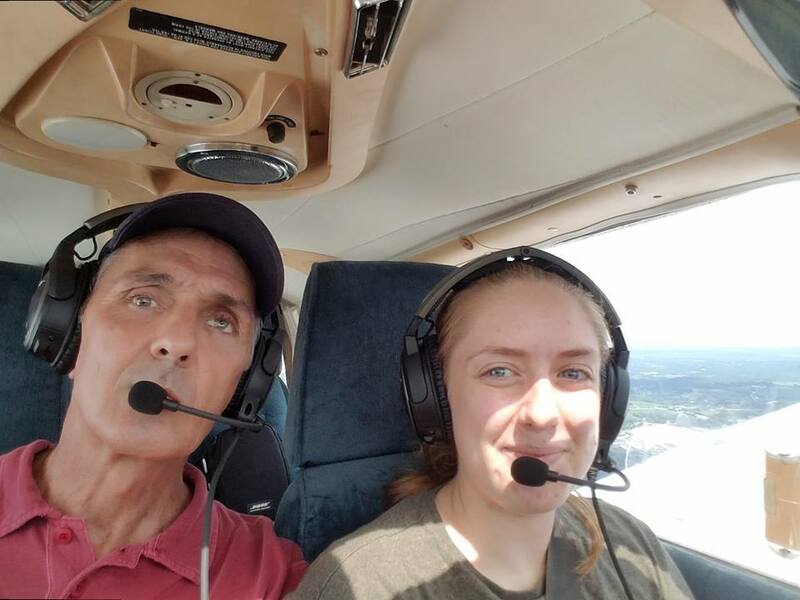 We’re covering her first solo cross country she did from Gaithersburg, Maryland to Lancaster, PA. You may remember Uma from the post we did about her and Pat hitting a goose shortly after takeoff. Parts of the goose and the windshield came inside the cockpit and hit Uma. Click here for the post about the goose strike. Click here for the post that shows the plaque Harry & Pat had made for her with the part of the windshield that hit her. Here is a link to the lesson plan that Harry created regarding her first solo cross country. Most of this is in her own words on how she handled each situation she encountered. Weather in the news: Rain, rain, and more rain has been what the mid-Atlantic area has seen this month. Here are some pictures of a flood in 2014 in Germantown, Maryland. 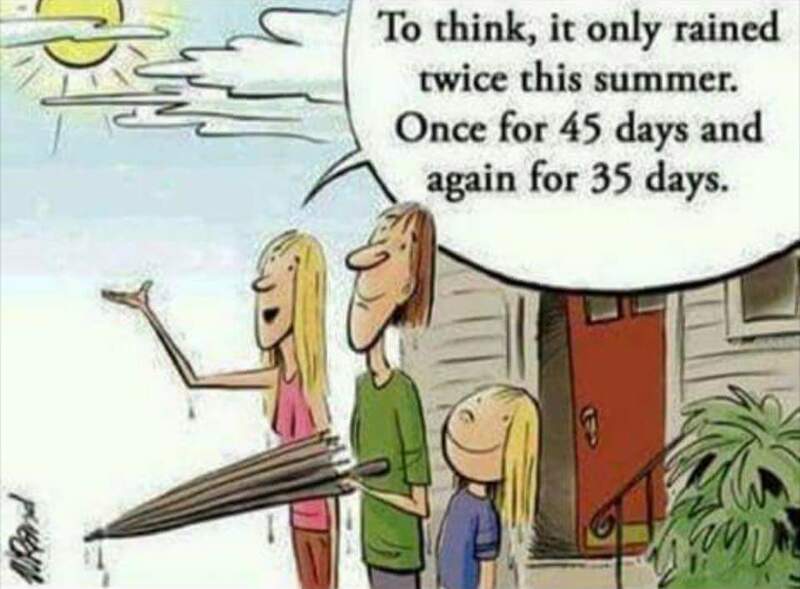 This cartoon just about sums up the summer in the mid Atlantic for 2018. Three Wheel Association (TWA): We have a couple of interesting 3 wheelers to cover this month. 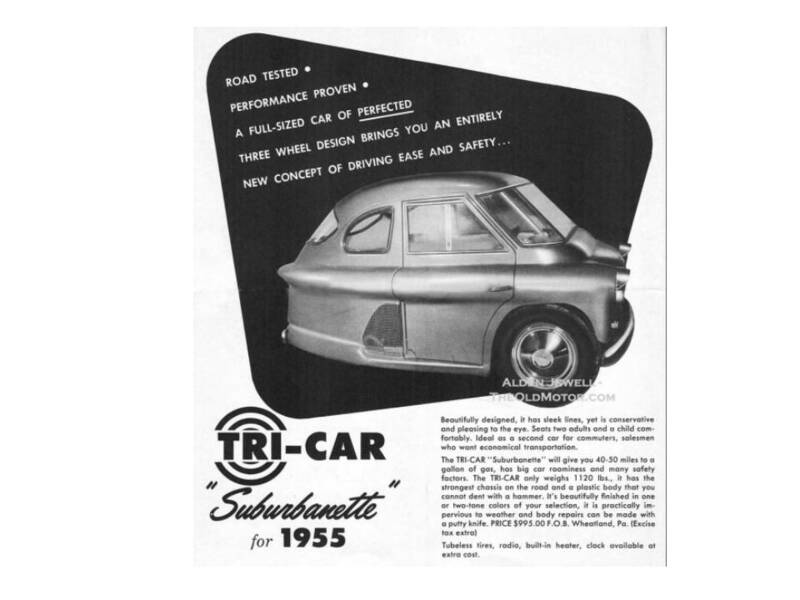 First, a 1955 Tri Car Suburbanette. The Suburbanette was designed by a gentleman named H. Roy Jaffe that worked for General Motors. A cool thing about this vehicle is that it was powered by a Lycoming aircraft engine. The Surbanette never made it pass the prototype stage. 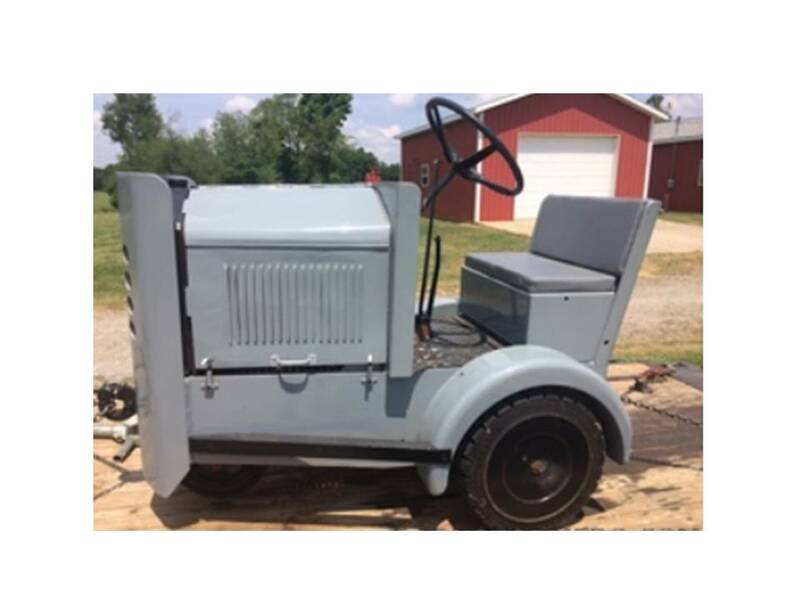 Click here for more reading on this rare 3 wheeler. Here is a rare 3 wheel aircraft tug that we found on an aircraft for sale site. We’re still researching the proper / correct name. Mercury Industries Industrial Truck, Banty model, or a Mercury Industries trackless train. Click here for more pictures. 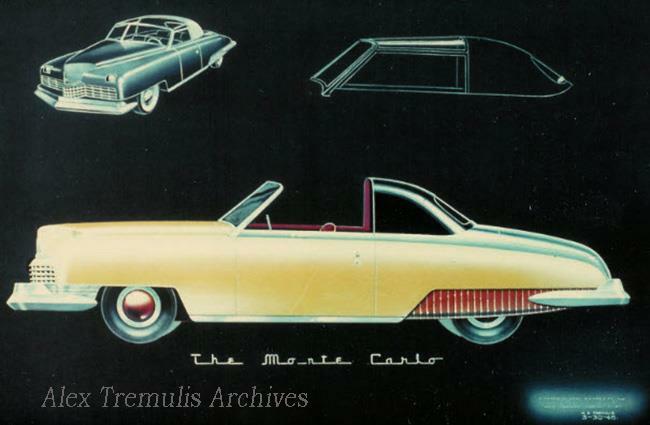 1946, Alex Tremulis’ Monte Carlo proposal to Henry Ford II. Based on the Lincoln Continental chassis, Tremulis stated “this type of design exemplifies the last word in elegance and is one of the most popular European body types. The optional plexiglass top adds an ultra-modern note to the design.” It was never built. Enjoy this video made by Google with pictures of Jett. We close this newsletter with these words of wisdom: Don’t delay acting on a good idea. Chances are someone else has just thought of it too. Success comes to the one who acts first. Comments Off on Flymall Wheels & Wings August 2018 Newsletter - Share this on Facebook or Twitter.